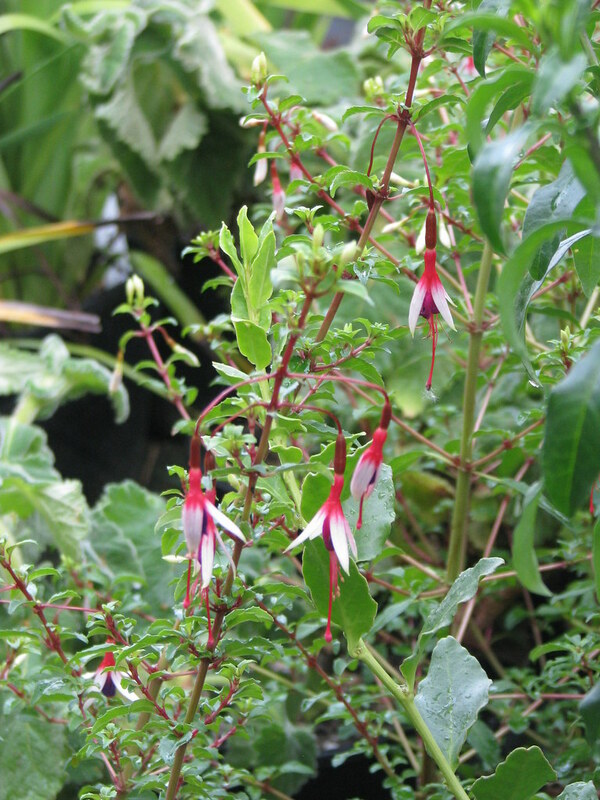 A very choice naturally occurring form of the popular hardy species with finely crafted flowers on a delicate small leaved shrub. The flowers are typical slender violet and red magellanica, but the sepals are white giving a very classy effect – not even slightly garish. 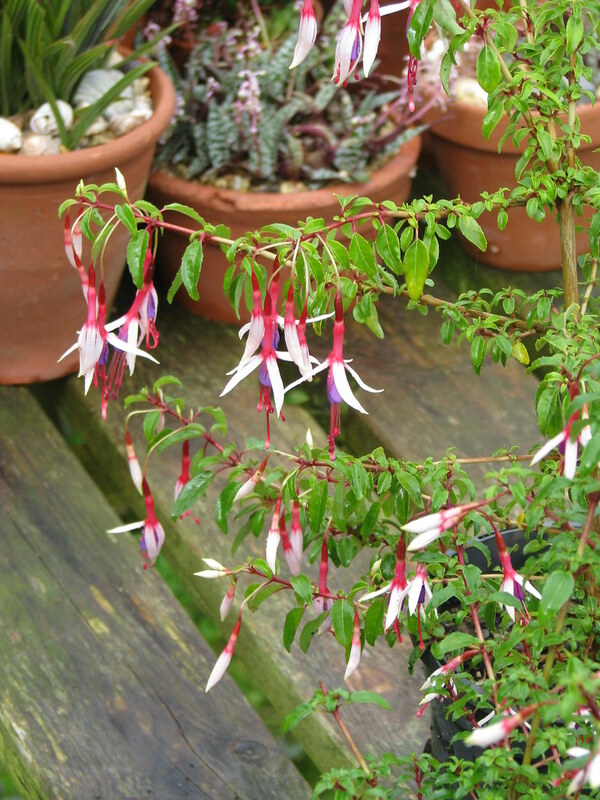 Like most magellanicas this is hardy and adaptable but seems less heat and drought tolerant than most Fuchsias. 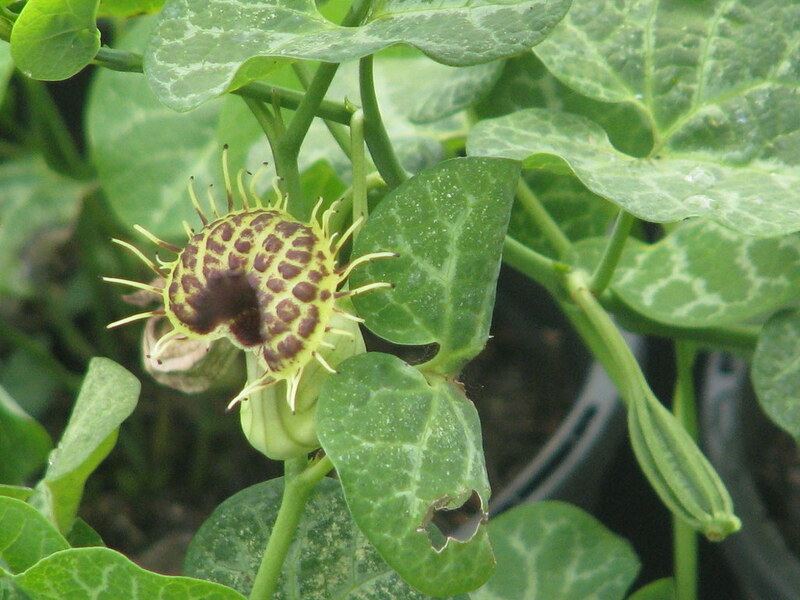 Aristolochia are an on-going fascination of mine. 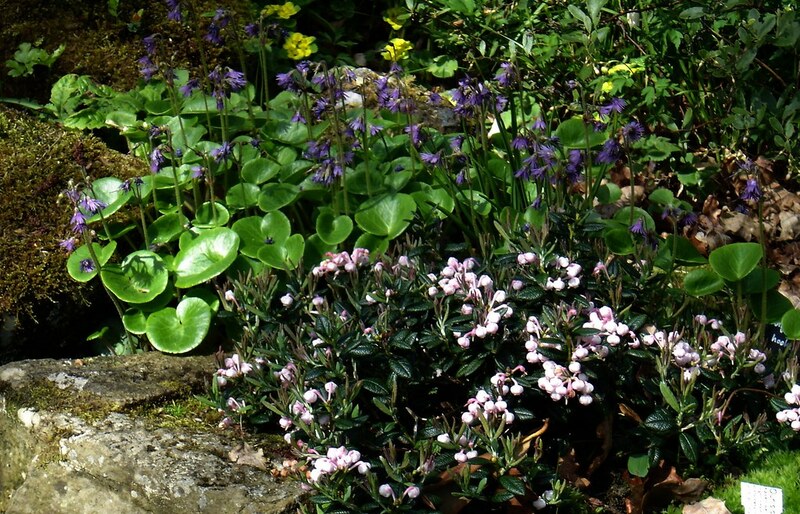 I originally thought I might have a nice little collection of maybe 10 or 20 small hardy species for the National Collections scheme - a nice manageable group - how many could there be? It turns out that 'a lot more than 20' is the answer, from southern Europe, North America, eastern Asia and even South America. As it stands I generally have only a few at a time for sale but the number is increasing and I'm not short of customers for them. 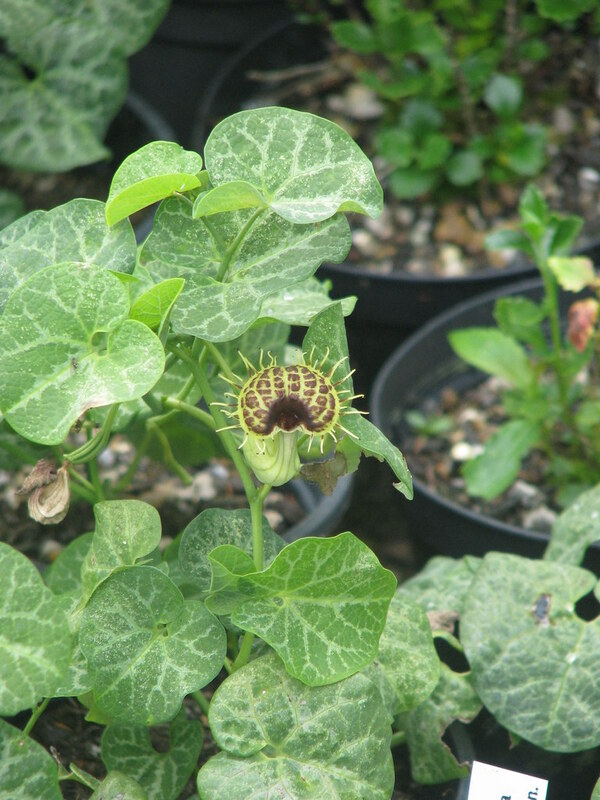 The peculiar yellow and brown tentacled flowers of this species are rather striking, and the silver veined leaves are good too. 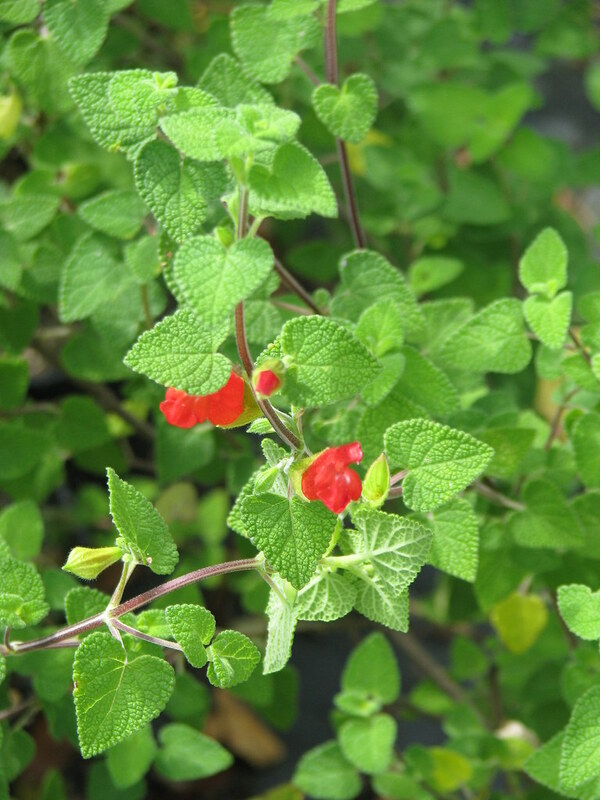 This herbaceous species is possibly the hardiest of the South Americans currently in cultivation and worth a try in a sunny sheltered place, kept dryish in winter. 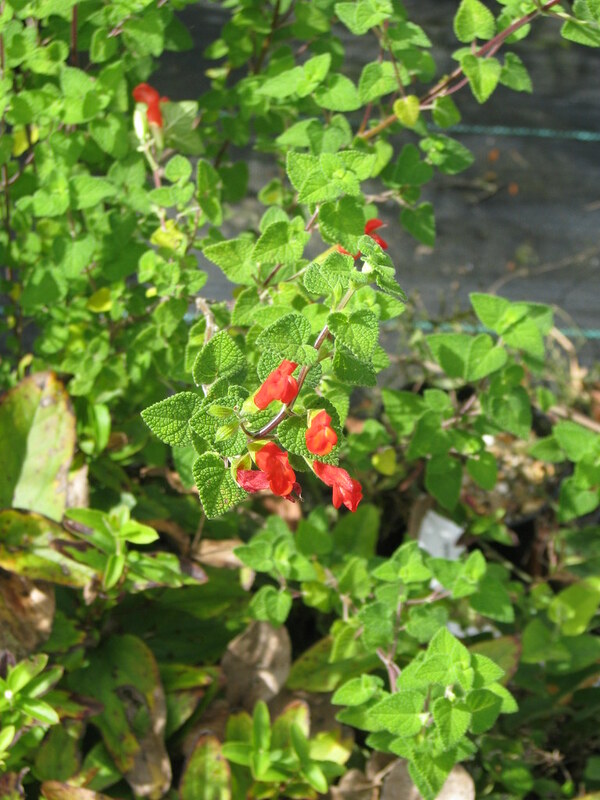 This is a very distinct almost shrubby sage from southern Mexico with impossibly vivid scarlet flowers among rounded fresh green leaves. 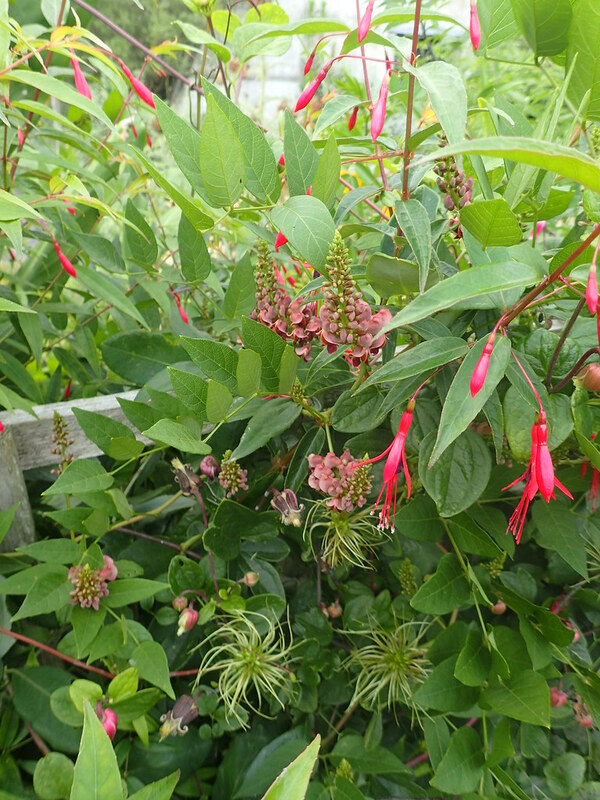 In a group with, one might say, almost too many ornamental plants, it really stands out. I have received mixed messages regarding it hardiness. The top growth is destroyed by frost but the roots move about quite freely and given a good mulch it might well regenerate. 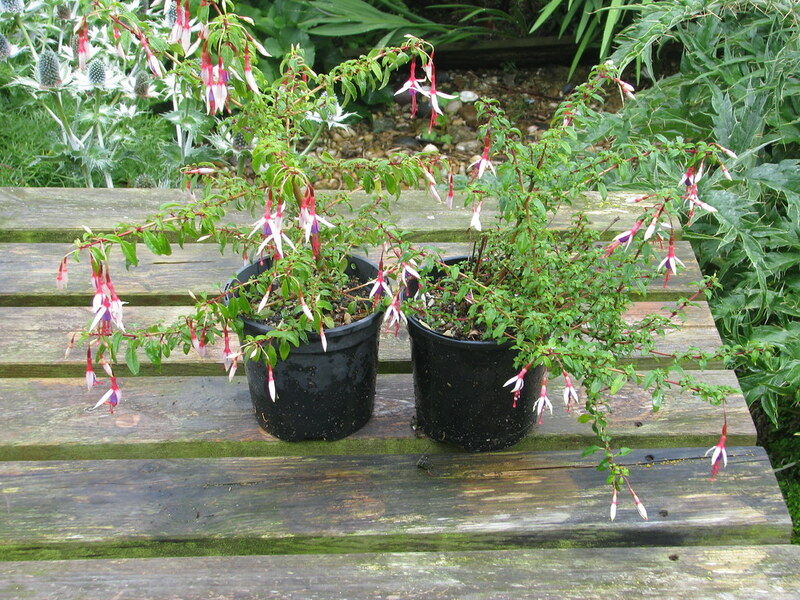 At any rate it's easy from cuttings and is a good pot plant as long as it doesn't freeze through. For well-drained soil in sun. 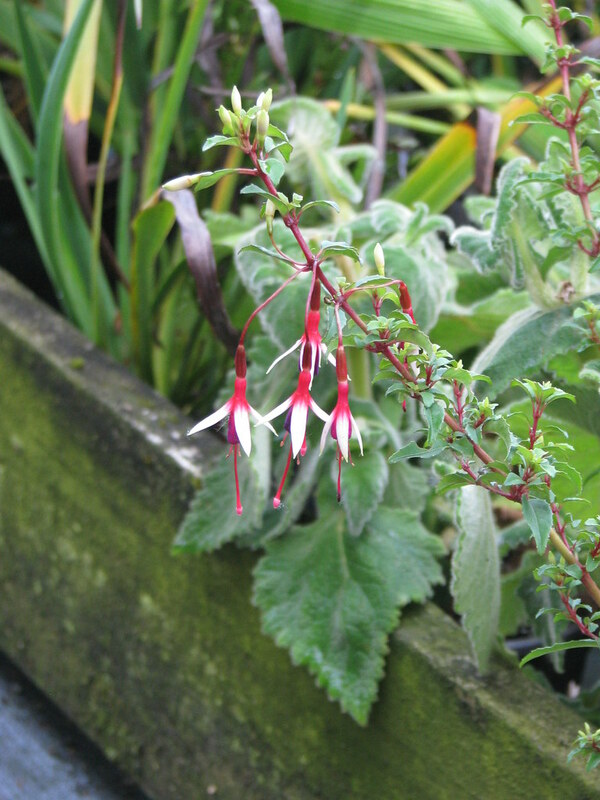 Probably the easiest Soldanella for the open garden, spreading happily in well-drained but moist semi shade. 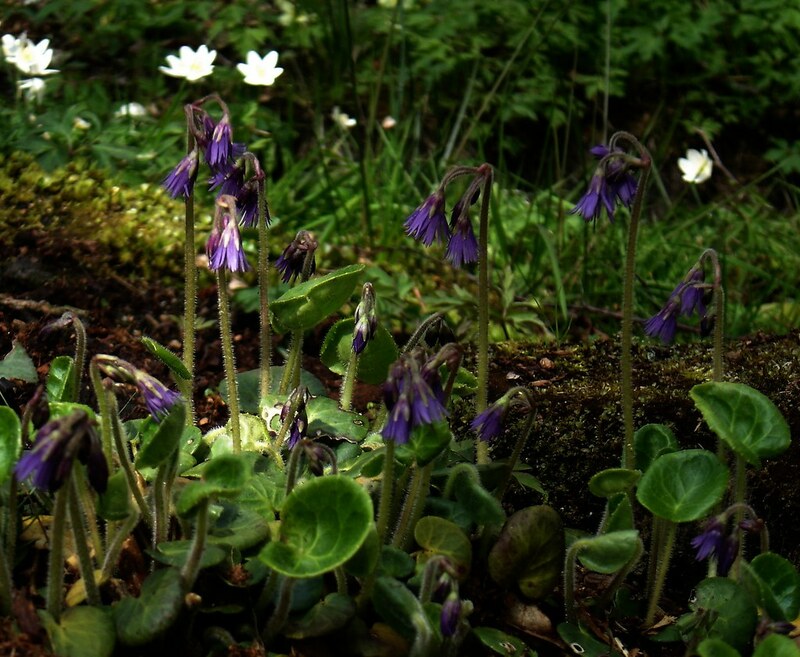 The nodding flowers are not as elegant as the true alpine species but are a good violet and nicely fringed. 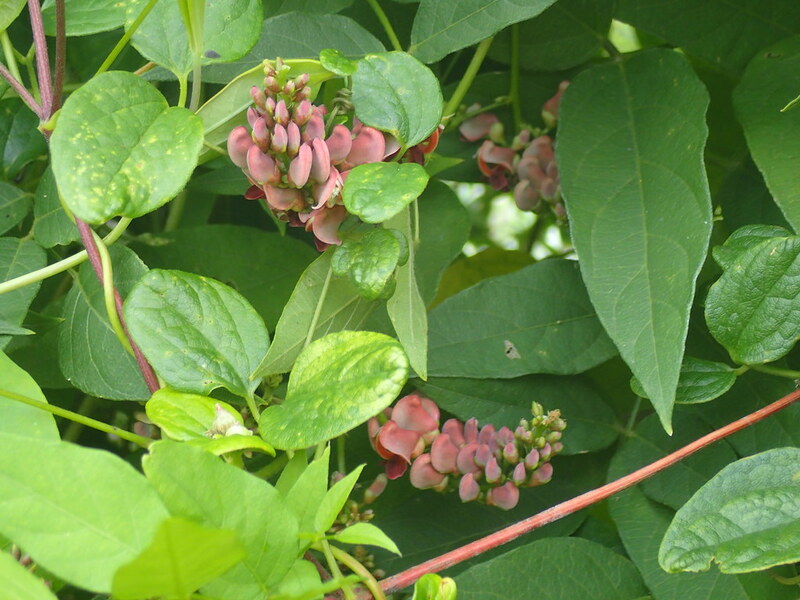 An unusual herbaceous climber closely related to Wisteria. The dense clusters of pea flowers are an odd shade of terracotta and produced in summer. 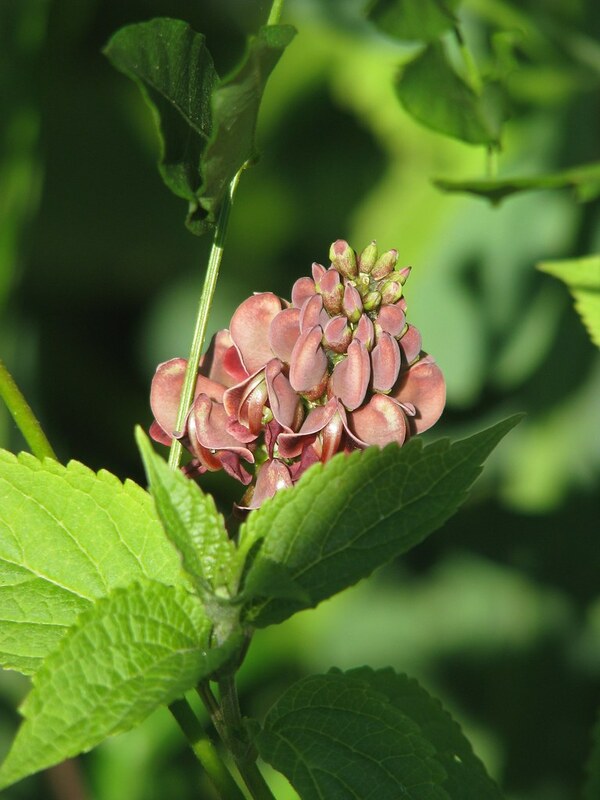 It grows from long strings of (apparently edible) tubers which wander about underground over some distance but not enough to become a weed.